Dapra Marking's P50 is a compact, portable, pneumatically actuated part marking machine. It weighs just 8.2 lbs., making it easily transportable to mark large, heavy parts that cannot be easily brought to a fixed station for marking. The P50 is capable of high-speed, very deep marking. A mounting column is available for combo portable and bench-mounted marking versatility, with quick and easy changeover between configurations. 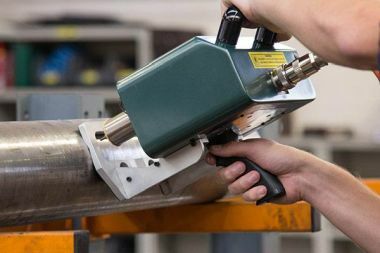 A high-performance model is available (MK3 X50) for marking metals that will be subjected to surface treatments (varnishing, sandblasting and galvanizing), such as frames, tanks, pipes and heavy structures.